Twin Peaks actor Al Strobel is recovering in a Melbourne hospital after suffering a “minor heart attack” following the show’s Conversation With The Stars 2018 event in the city. Strobel, who plays Phillip Gerard in the iconic series, was admitted to the ER this morning and underwent a surgical procedure to remove a blood clot and insert a stent tube in his ticker. According to a press statement, he’s now “doing well and looks forward to getting back to meeting as many Twin Peaks fans again as soon as possible”. However, he will be sitting out the remainder of the Twin Peaks‘ panel tour, which migrates to Brisbane tonight before heading to Adelaide, Sydney and wrapping up in Perth. The actor has requested that, in place of flowers, fans instead send messages of support and love via his official Facebook Page. 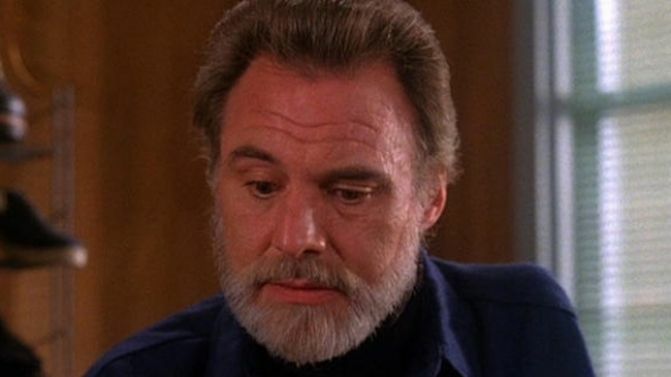 Al has appeared in every season on Twin Peaks, as well as Fire Walk With Me and the films Ricochet River and Child Of Darkness and Child Of Light. His Twin Peaks cast-mates Sheryl Lee (Laura Palmer & Maddy Ferguson), Kimmy Robertson (Lucy Moran), Michael Horse (Deputy Hawk) and Dana Ashbrook (Bobby Briggs) will be carrying on with the remainder of the Conversation With The Stars Aussie tour dates without him, with series creator David Lynch also skyping to participate in a fan Q&A. You can catch all the details here. All content is © Music Feeds 2008 - 2019 unless otherwise stated. Big thanks goes out to everyone who has contributed material for us, and to those that advertise and support us.